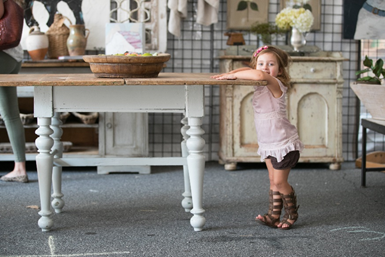 Home » Alpharetta Only Events from Spring to Fall! Alpharetta is full of events year round! The City of Alpharetta and Alpharetta Convention & Visitors Bureau put alot of time and effort into planning amazingly fun family events. It is hard to not find something to do in this city full of entertainment and if you find you are drawing a blank – reach out to me! Enjoy a variety of 6-8 rotating food trucks and music each week. Stroll the streets, eat delicious food, listen to some great music and kick off the weekend a little early! In the event of inclement weather, please check the Alpharetta Food Truck Alley Facebook page. There will be no farmers market on August 3, 2019. Visit the City of Alpharetta before the event in case of inclement weather or call 678-297-6133. The City of Alpharetta and Splash Festivals are excited to present the 15th Annual Alpharetta Arts Streetfest – May 25, 26 and 27, 2019. This 3-day event will host dozens of colorful artisans from around the country will showcase their works in Downtown Alpharetta by the Village Green. This much-anticipated festival will feature live music, cultural arts performances, entertaining children’s activities, and a variety of festival cuisine. The City of Alpharetta and Rotary Club of Alpharetta will host the 4th Annual Memorial Day Tribute on Monday, May 27 at 9:00 a.m. at Alpharetta City Hall, 2 Park Plaza. The event is free for the public to attend. If you are looking to embrace your community, celebrate our Country, and honor those who, in establishing and protecting our freedoms and liberties, paid the highest price, there is no better place to be than the Alpharetta Memorial Day Tribute. Come be a part of the fabric of Alpharetta. The City of Alpharetta is excited to host July 4th festivities in Wills Park, Alpharetta’s Central Park, starting at 6 p.m. This exciting event will take place in three different areas of the park and are identified with red, white or blue balloons. Providing three events in one, each will have its own entertainment and music supplied by a family-friendly DJ.Food trucks and other vendors will serve festive fare until 10pm. A variety of foods including favorites such as hot dogs, barbecue, pizza ribs, burgers and cool summer treats will be sprinkled among the choices.The following will help make your July 4th celebrations in Alpharetta most enjoyable:* Parking is available at the Alpharetta Community Center, Wills Park Recreation Center and near the Wacky World Playground. Old Milton Parkway between Hwy. 9 and Wills Road will close when lots are full. Alcohol and tobacco are prohibited in the park, per City Ordinance. Charcoal grills are strictly prohibited. Small propane grills are allowed with permit. To obtain a permit by July 3, call 678-297-6123. Personal fireworks are prohibited at the event to ensure public safety. Pets are discouraged but when present must be on leashes or crated at all times. A flash light, bug spray, blanket, and water make for a better experience. Small tents and pop up canopies are permitted but should be dismantled at sunset so others may enjoy the fireworks show. Several food vendors are cash only but most accept credit. The Brooke Street Park Summer Concert Series brings music and fun to life, Saturdays from May to September. Bring a blanket and a picnic, and enjoy free, live, family-friendly performances by different Alpharetta based entertainment groups. June 15 – Alpharetta POPFest is an annual event raising money and awareness for Alzheimers Disease. July 13 – Home By Dark featuring Christopher Cross band member, Marcia Ramirez & Caeland Garner from NBC’s The Voice. For updates, please visit the City of Alpharetta’s website at www.alpharetta.ga.us. These are rain or shine events. Grilling & Gridiron September 14 Save the Date! IronKids Alpharetta, one of the largest IronKids triathlons in the country, is returning to Alpharetta on September 15, 2019. Saturday events include an expo and bike drop-off from 12 – 5 p.m. Sunday’s race day kicks off at 7:30 a.m. and runs until 11 a.m. Registration is now open for entrants. The mission of IronKids is to inspire and motivate youth through sports to lead active, positive and healthy lifestyles. 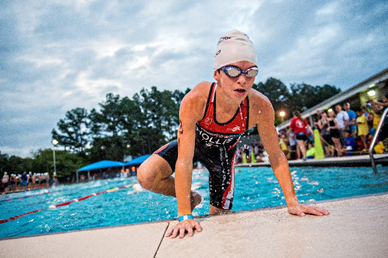 IronKids Alpharetta, open to youth ages 6 to 15, provides an interactive weekend experience for the entire family showcasing the nation’s top youth triathlon talent as well as to positively introduce the realm of multi-sport to first-time triathletes. IronKids is managed by Premier Event Management, a nation-wide endurance race event organizer, who has partnered with the Alpharetta Convention & Visitors Bureau for nine years on this event. The IronKids event in Alpharetta has remained the one of the largest youth triathlon in the country with an expected 800 athletes competing. The race will include three divisions: Junior- ages 6 to 8, Intermediate- ages 9 to 11 and Senior-ages 12 to 15. All participants will receive an Alpharetta IronKids shirt, finisher medal, chip timing and complimentary food and refreshments. For more information on registration and hotel accommodations in Alpharetta visit https://www.awesomealpharetta.com/ironkids-triathlon/. Alpharetta’s 7th annual European Market is set for September 21-22, in Downtown Alpharetta. Shoppers will find 40 of the best artisans showcasing an eclectic ensemble of vintage style home décor, furniture, works of art, handcrafted jewelry, one-of-a-kind finds, fashion clothing, accessories, gifts and unique treasures. For two days only, all under a large tent the length of Milton Avenue between Main Street & Roswell/Canton Streets, the city will transform into a scene echoing lively European open-air markets. European cities such as London, Paris and Brussels are famous for their open-air markets. While a trip overseas is enticing it can be costly and time-consuming. Alpharetta’s 7th annual European Market brings the boutique market experience right here to the Southeast. To further elevate the experience of the weekend, the Alpharetta Farmers Market is open from 8:30 a.m. – 1 p.m. on Saturday, September 15. Visitors will find over 60 local vendors at the Farmers Market just across the sidewalk from Alpharetta’s European Market. Fresh, local produce, artisanal cheeses, handcrafted jams and golden locally-sourced honey are just a few ways event attendees will be transported across the pond without ever leaving the heart of Georgia. Wednesday’s at 6pm on the Green – Free workout!! Typically yoga! · Little Acorns: Every Tuesday morning; April 9 through October; 10 a.m. to noon, parents and caregivers are invited to bring their pre-school aged tots for free playtime in The Plaza. Weekly surprises will include face painters, storytellers, visits from favorite characters and more. · AvalOM: Breathe in. Breathe out. Every Wednesday evening; April 10 through October; 6 to 7 p.m., fitness fanatics can enjoy a free wellness class in The Plaza. Classes will be a variety of yoga and barre, and will be led by expert instructors. Each week, we will showcase one of these fitness retailers with a complimentary 60 minute class in the Plaza. Bring your own mat and Be Well on Wednesdays at AvalOM. · Avalon Nights Live: Starting April 12. Unwind from a long week with live music every Friday evening from 6 p.m. to 8 p.m. in The Plaza. Families and friends are invited to sit back, relax and enjoy music performed by local artists. Guests are welcome to grab to-go food and drinks from Avalon’s famed eateries like Oak Steakhouse and Branch & Barrel, and bring their meals for an evening out on the Plaza. · The Punchline Comedy Night at Avalon: Throughout spring and summer, join The Punchline for lots of laughs with live comedy acts in Palmer Plaza (located between Oak Steakhouse and Colletta). The performances last about 90 minutes and are recommended for ages 13 and older. Punchline Comedy kicks off on May 6 and repeats each month. The Wire & Wood Alpharetta Songwriters Festival returns to downtown Alpharetta, Ga. for its sixth year on October 11-12, 2019. The Wire & Wood Alpharetta Songwriters Festival brings nationally and locally recognized singer-songwriters together, giving music lovers a behind-the-scenes look at the stories that have inspired many musical genres. Picture from google images (labeled for reuse). Press release provided by Alpharetta Convention & Visitors Bureau.